This is a concept I've had on my mind for a couples years now and have posted something similar on the old CW forum. It is my idea for a CW DVD called "Seasons." It'd be complex and include a lot of songs. If it were real, it'd realistically have to be filmed over a period of several days. It would be filmed outdoors. Spring would take place during the morning time and feature light-hearted, airy songs. Summer would take place during the afternoon and feature upbeat songs. Autumn would take place during twilight and feature haunting songs. And winter would take place during the evening and feature dark songs. Méav is just featured in the intro and outro because I want her to be a "narrator" (if that makes any sense ) in this story as we pass through all four seasons. - Morning Has Broken - each girl gets to sing her own verse except Tara is just playing harp on this particular number. - Down by the Sally Gardens - Éabha sings verses, Mairéad sings choruses. - Songbrid - Mairéad sings the "for you" part, Tara sings the "to you" part. - Wild Mountain Thyme - similar to the Divinas version. - Last Rose of Summer - Megan sings Hayley's old part, Mairéad sings Méav's old part. - Tim Burton Medley - I know, it's pretty out there, but I think CW could pull it off! - Encore - repeats "green the whole year 'round / green the whole year 'round / the holly yew and the ivy tree / are green the whole year 'round." 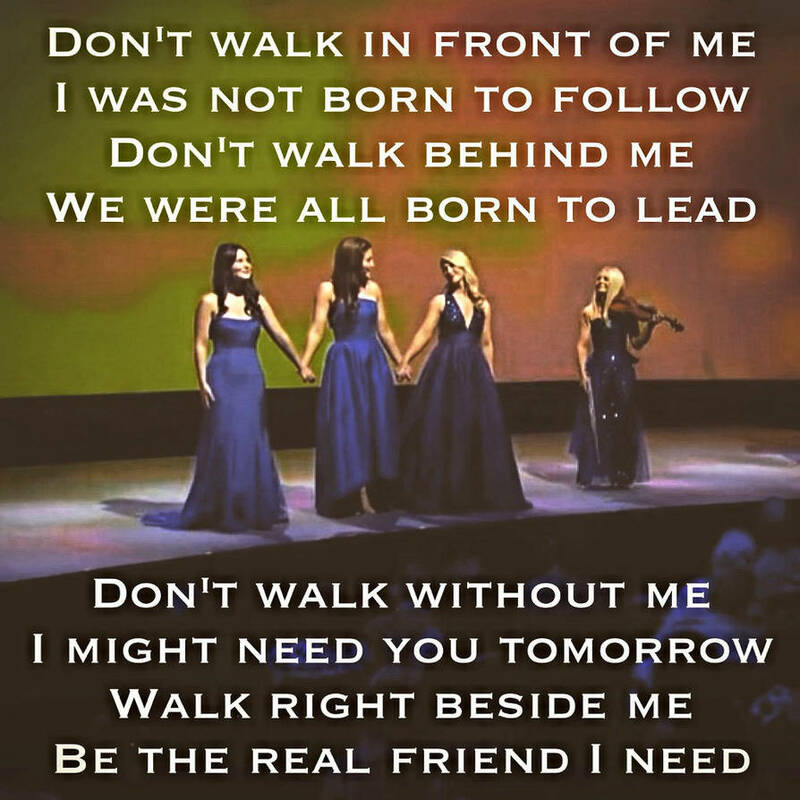 Celtic Woman / What Do You Think? This is my opinion of the ladies that I think stood out the most or were more dominant on DVD and/or CD judging by songs, dresses, and other factors. - 4 solos ("Danny Boy," "Si Do Mhaimeo I," "She Moved Through the Fair," I Dreamt I Dwelt in Marble Halls"). - featured in all group numbers ("Jesu Joy of Man's Desiring," "The Soft Goodbye," "Orinoco Flow"). Note: Chloë could be argued because she had the opening number and 4 solos, as well, but I think Méav stood out just a bit more than the others. - 3 solos ("Caledonia," "The Blessing," "The Voice"). - often placed in the middle during group numbers ("Sky, Dawn, Sun" and "Mo Ghile Mear"). - prominent in "O Holy Night" and "O Come All Ye Faithful." - both had 2 solos. - both featured more prominently in the group songs. - 3 solo parts, if you count "Circle of Life." - center focus of "Tribute to Broadway," "The World Falls Away," and "Téir Abhaile Riú." - epic high notes ("O Tannenbaum," "Silent Night," "Joy to the World"). - speaking part during "Danny Boy." - prominent during "TAR" and "NSL." - wore a green dress during "NSL" while the others wore blue. - most energetic and interactive with the audience. - most prominent in all the group songs ("When You Go," "My Land," "Westering Home"). - 2 solos on CD ("Ave Maria" and "A Time For Us"). - most prominent in group songs ("Time to Say Goodbye"). - featured as both a violinist and harpist. - longest current standing member in CW. - often placed in the middle. - 3 solo parts ("Moorlough Shore," "Siúli A Rún," "Garden of Eden"). - prominent in "Mna na hErinn." - wrote "Garden of Eden." - 4 solo parts ("Ancient Land," "Love & Honor," "Tara's Tunes," "Enchanted Way"). - prominent in "Follow Me." What do you guys think? Do you agree with this or do you have different opinions? I'd like to read them! 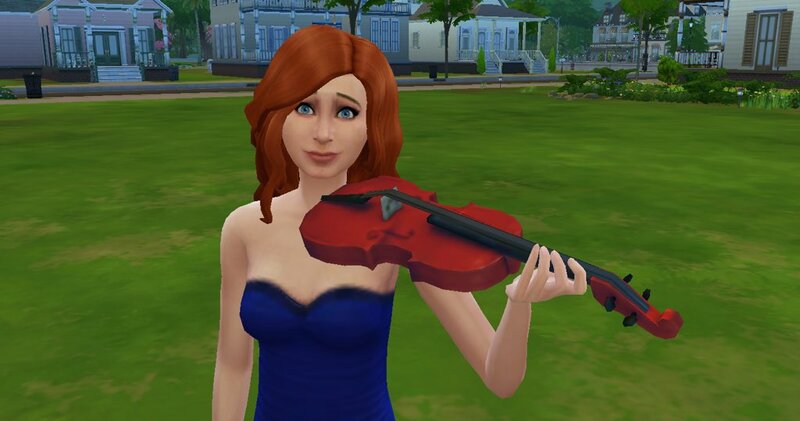 On Tara's takeover on CW's Instagram stories, Tara says she used to call her violin "Jacob" back when she went through her Twilight obsession. I thought this was hilarious! I myself went through a Twilight phase, and it's funny to know Tara was "Team Jacob," too. Yes, we all know this won't happen, but I wanted to use my imagination and create this just for fun purposes - plus I'm bored! The concert would be a mixture of Ancient Land with some touches from Voices of Angels. - Orinoco Flow - mixture between Ancient Land and VoA tour version w/Ancient Land tour choreography. - Follow Me - starts off as normal, but towards end, Méav comes out to sing Megan's "light of sun" part. - Mná na hÉireann - similar to the brief Destiny Tour version. - Tír na nÓg - Mairéad and Susan sing the first part, Megan sings Oonagh's part, and Éabha sings her original part. - O America - exactly the same as the VoA CD except Megan sings Susan's old parts instead. - Going Home - Tara plays a violin intro, Mairéad and Megan only sing the first part, Éabha sings the whole second part, then they all come together at the end. - Mo Ghile Mear - ANJ version. Mairéad sings Méav's old part, Éabha sings Órla's part, Megan sings Chloë's part. After the chorus, Méav and Susan come out. Susan sings Lisa's part, and Méav sings Hayley's part. Lynn is featured in this music video: https://m.youtube.com/watch?v=m7KQR6ZAweU. This is my idea for a song mashup of "The Voice" featuring Lisa Kelly, Méav, Lynn, Alex, Susan, and Máiréad Nesbitt on violin. This is a fun thread on the old forum where you find celebs or other people who resemble or look similar to the CW girls. Considering dresses, hair, and other characteristics, these are the Disney princesses that I think match our Celtic Woman princesses perfectly. I created this nearly 4 years ago, so there are even more comparisons that can be made now. Merida could also apply to Tara easily. I love all of Méav's CDs, of course, but my very favorite is Silver Sea because I love that it consists of songs involving the sea. The Calling would be my second. And since this was made a couple years back and the lineup has changed now, I'll have to add a Megan Sim when I get the time. 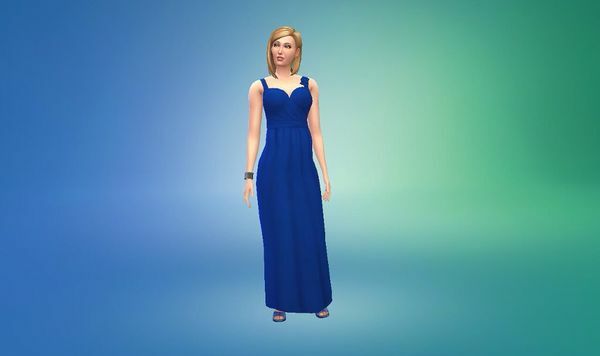 Also, just a bonus, on Méav's Sim, I tried to copy the outfit she wore during Divinas. I'll have to go with A Christmas Celebration because it includes my most favorite Christmas songs, and I am in love with those pretty pastel dress - especially Órla's. It's difficult to pick just one, I know! Considering the songs, the dresses, the stage, and the lineup, mine would have to be A New Journey. Mine is Méav's first act dress that she wore during the "A New Journey" DVD. New Members / Finally Joined! 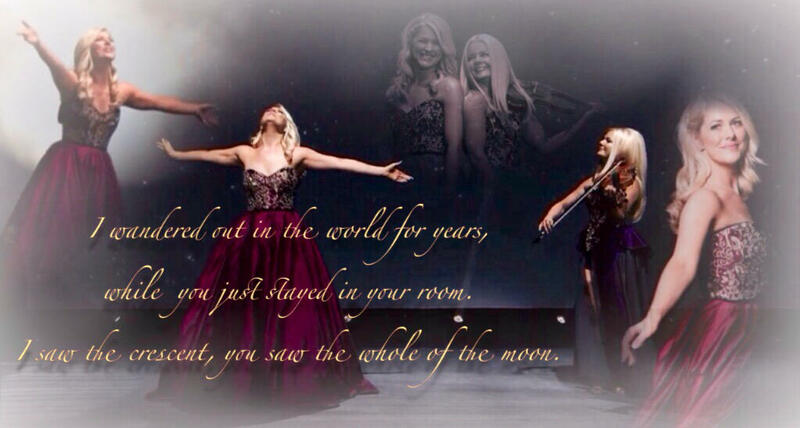 Hello, I'm Chandler from the other Celtic Woman Forum, where I have been a memeber for over 5 years now! I decided to join this one because the old one isn't as active anymore, but I will still be using both. I look forward to posting more on here!